BEING A MOM IS MORE THAN GIVING BIRTH. 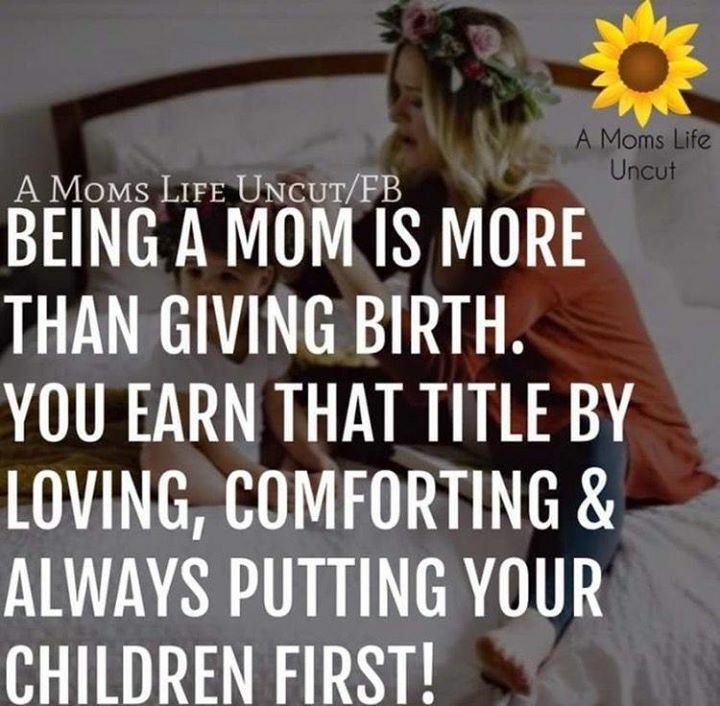 YOU EARN THAT TITLE B - ProudMummy.com the Web's Community for Mums. BEING A MOM IS MORE THAN GIVING BIRTH. YOU EARN THAT TITLE BY LOVING, COMFORTING & ALWAYS PUTTING YOUR CHILDREN FIRST!